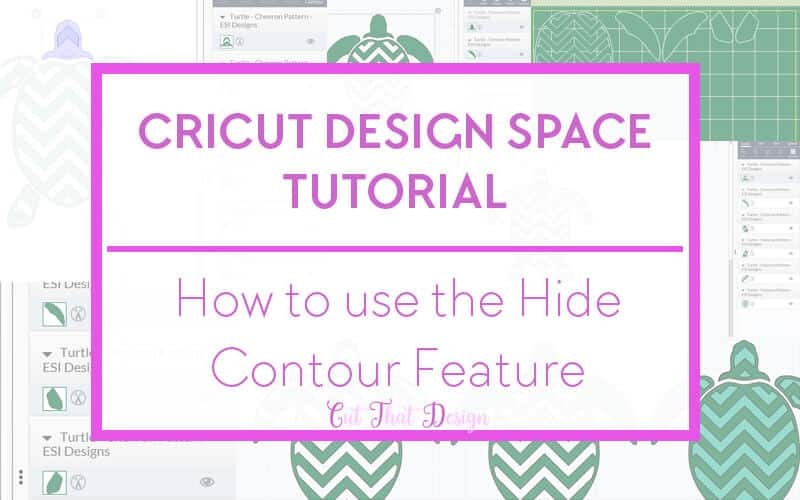 Here i’ve put together a Tutorial on how to use the Hide Contour Feature in Cricut Design Space. What is the Hide Contour Feature and what does it do? 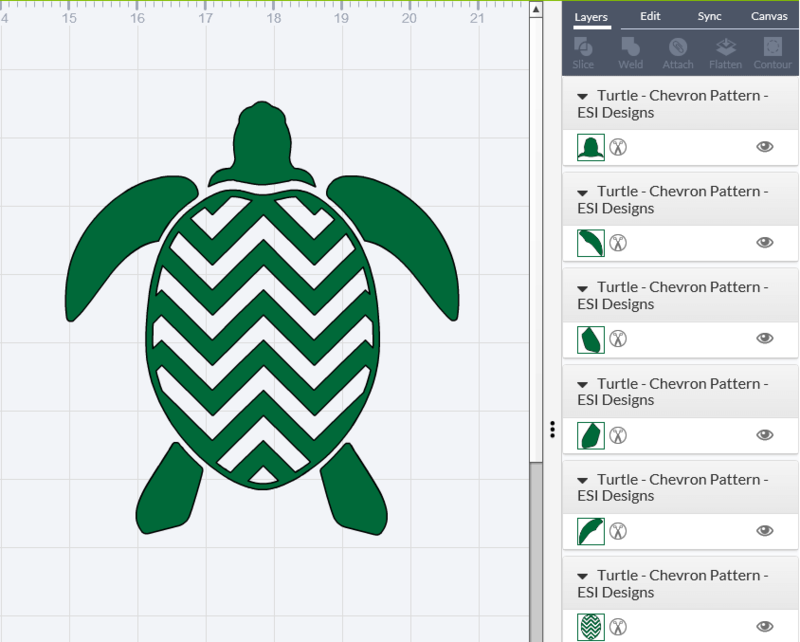 The hide contour feature allows your to alter the appearance of a design by ‘hiding’ certain cut lines, for example, my turtle design in the below image, the original design is the one on the left, the middle and right designs are where I have used the contour tool to adjust the look of my turtle design. In this tutorial I am going to show you how I have adjusted my design by using the contour feature. Once you are logged in to Design Space, Click on Start new Project, and add your design to the canvas. If your design has more than one layer, right click and select un group. The Hide contour tool will not work on more than one layer at once. 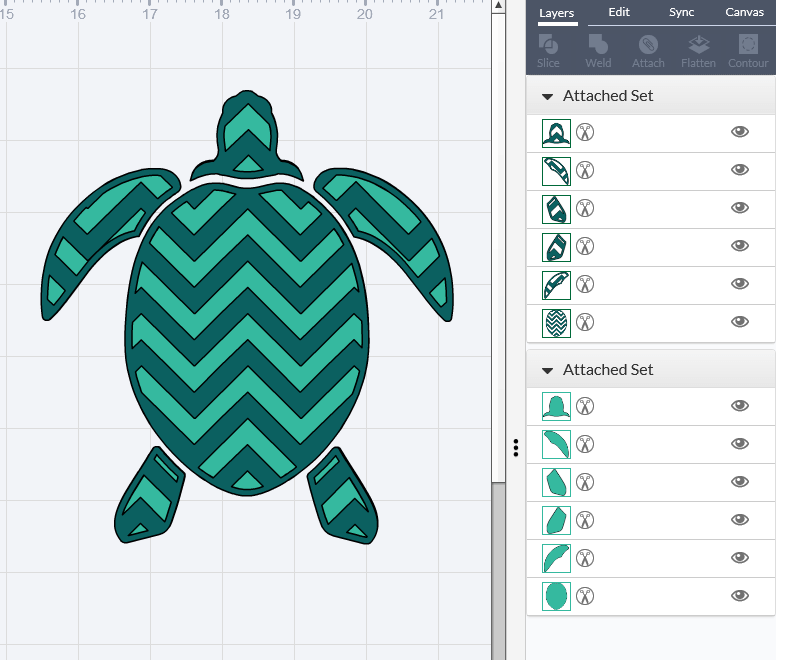 So we will have to select each part of the layer we want to adjust individually. 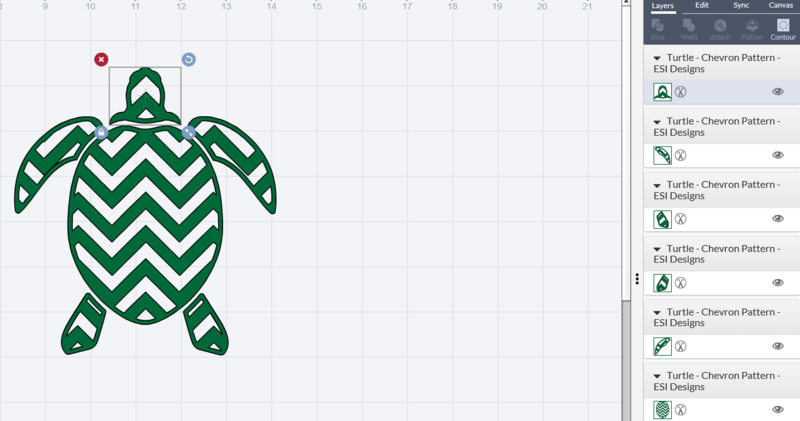 In my example I have selected the turtles head to work with first. 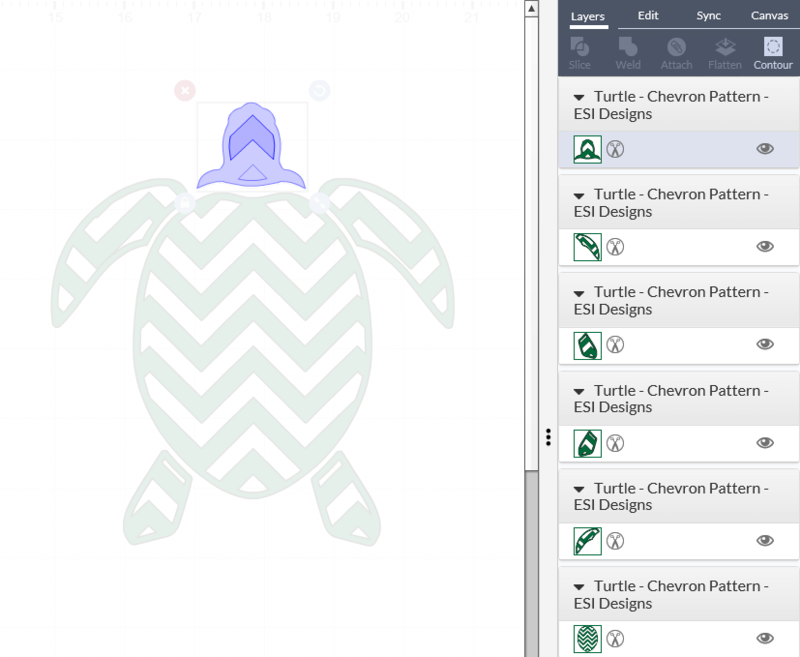 Once you have your design selected, click on the contour tool, this can be found within the layers panel to the right of the screen. What you have selected will be highlighted in blue, the rest of the canvas will be faded out. Next you need to click on the parts you want to ‘hide’, I want to hide the chevrons so that I am left with just a solid head. A darker blue highlight will appear once you have clicked on the part you want to hide. Click Contour again and the selected lines will disappear. Repeat the same steps if your design has multiple layers like mine. Once you have completed all the steps, Click select all, right click on your design and select attach. (You can also select attach from the layers panel). 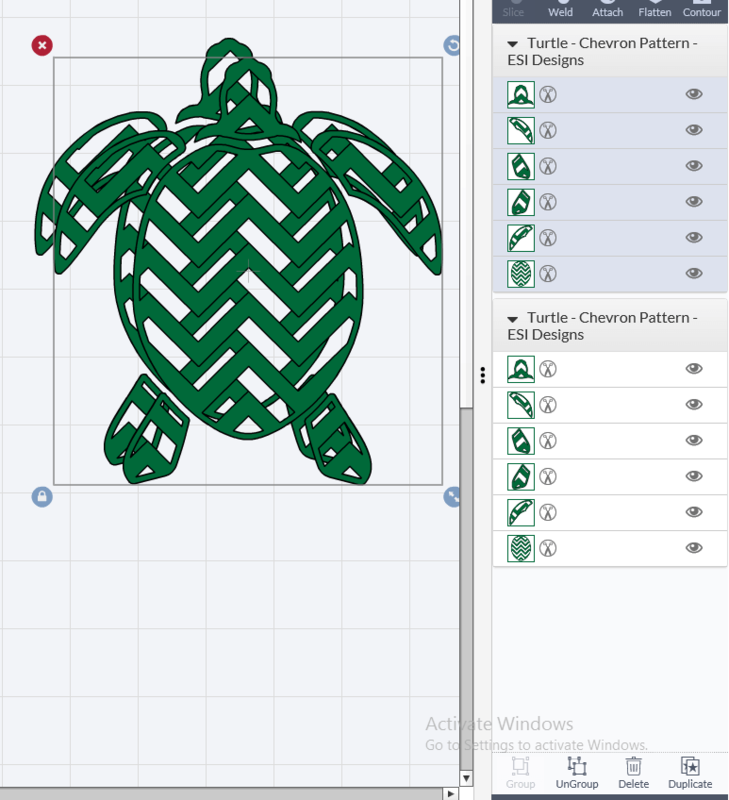 As an added extra to this tutorial, I am going to show you how to add a background layer using the Hide Contour Tool. 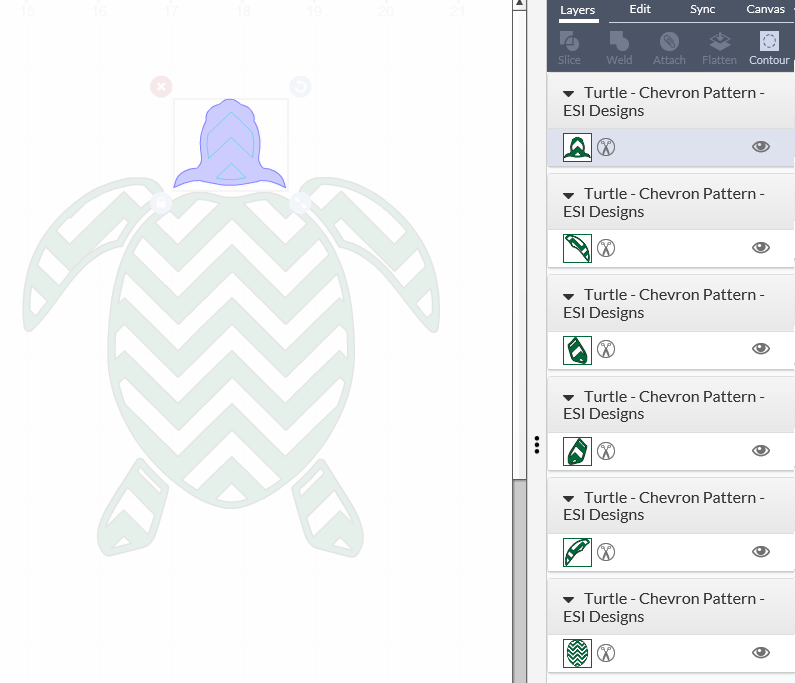 First, Duplicate your chosen design, the duplicate button can be found to the bottom right of the canvas under the layers panel. Move the duplicated design so it’s not overlapping the original design. Follow the same steps above to Hide the Counter of the whole design, this is now the background layer for the original design. Select all the parts of the background layer, right click and select attach, position the background layer on to the original design, if the background layer is on top of the original layer, right click and select move backward. 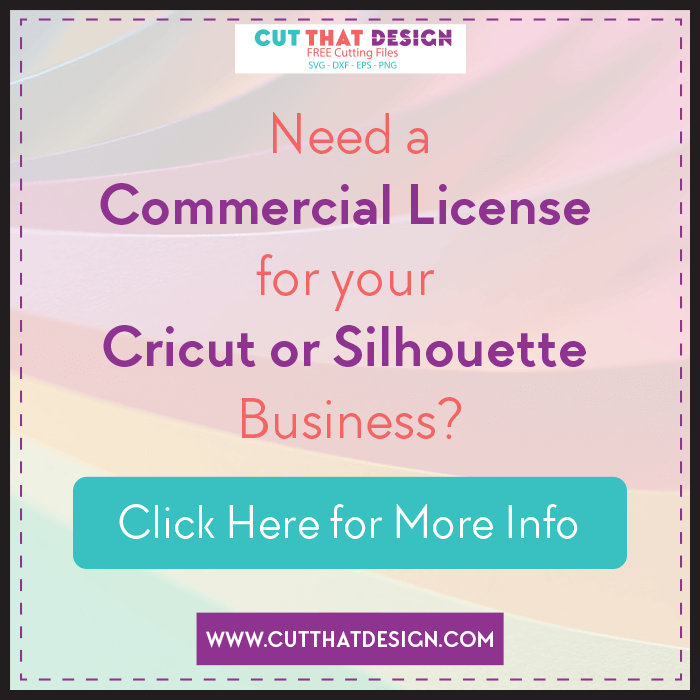 Adding a background layer adds depth and makes your designs pop that little bit more. 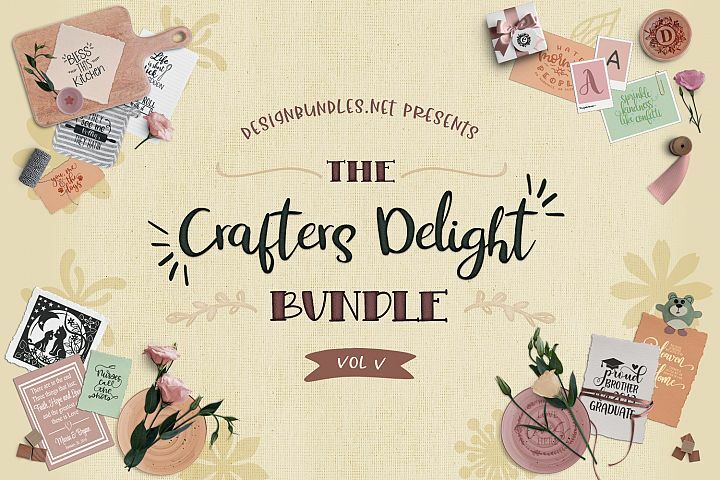 I hope you found this tutorial helpful, and has inspired you to get designing in your Cricut Design Space Software. 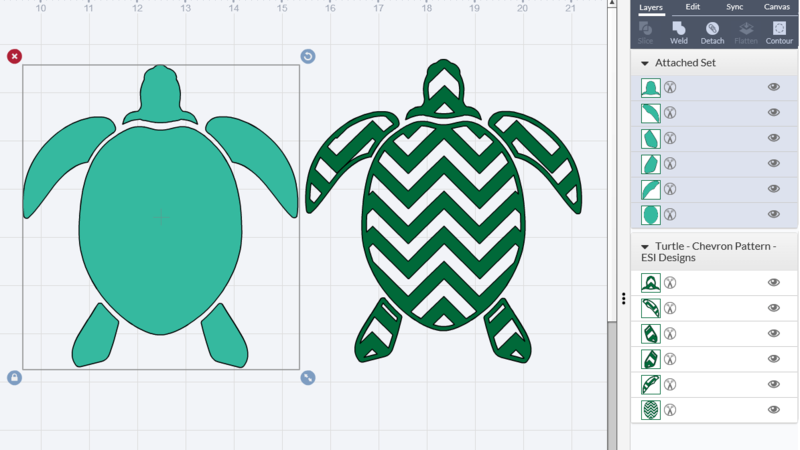 The design shown above is part of a set of Patterned Turtle Designs, available in SVG, DXF and EPS formats. If you are interested in purchasing this design you can do so by visiting my Etsy store, please click the link below to take you there.